Tel Aviv Stylish Apartment Central & Still Quiet Walk to Everything ! We have a great 3 bedroom apartment. Top floor, Heart of Tel Aviv. Quiet and still walk to the beach. Theater and all the cafes and restaurants - high level furnishing and everything that is needed for comparable in NYC / Bali / Asia and open to other nice and interesting exchanges. 2 large bedrooms (1 of them master bedroom with the best matrices and adjustable), 1 smaller room used as a study. The kitchen is open plan to the lounge. In general the apartment is very well designed with the best furnishings and all the possible amenities a couple or family would need to enjoy their stay: Flat screen Led TV / Hi Fi Stereo / air conditioning in all rooms / dishwasher / washing machine and a drier / very large Samsung fridge with options to ice cubes etc / juicers / blenders etc. 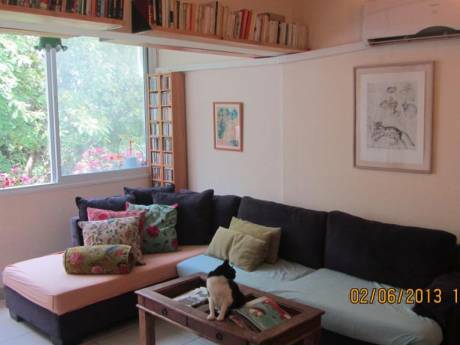 We have a great 3 Bedroom Apartment / Top floor Heart of Tel Aviv / Quiet and still walk to the beach / Theatre and all the cafes and restaurants - high level furnishing and everything that is needed for comparable in NYC / Bali / Asia and open to other nice and interesting exchanges. We are a nice and quiet couple 2 adults only, home owners ourselves. Well travelled kind and open minded to various exchanges and cultural experiences happy to meet people from all walks of life and backgrounds. Being home owners ourselves we are very respectful towards other properties and we have done amazing exchanges mainly with Parisians and Berliners so far. Your home will be kept in immaculate condition and treated as it was our own house. 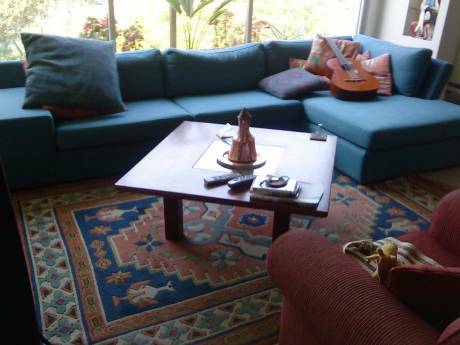 The apartment is in the heart of Tel Aviv called "Lev Tel Aviv" near Bugrashov / Alenbi / King George streets. As well as Rotschoild boulevard where all the concert halls are. 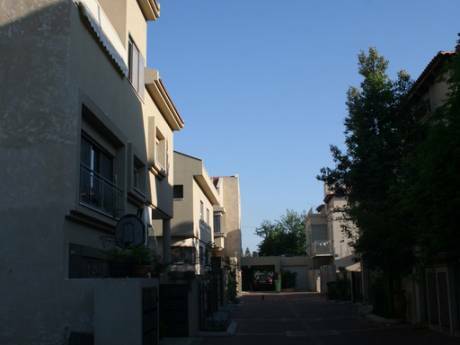 Walk to beach, museums, parks (Gan Meir is just under the apartment), gourmet restaurants, market - no need for car to get almost to any place in Tel Aviv city and enjoy the very safe and relaxed life. Art galleries and a bit Arts centre is walking distance as well as a world known Opera house of Tel Aviv. The Art scene is very active in Tel Aviv. Lots of bakeries and cafes just around the house, biggest shopping mall Dizengof centre is just 2 minutes walking with cinemas and supermarkets, top level Gym's and all the other options of a big city as well as the relaxed and fun lifestyle of Tel Aviv city - unique in it's lifestyle as a very vibrant and at the same time safe friendly and full of cultural and entertainment options. Especially strong on the gourmet side of things can compete with major cities of the world on that and many other aspects as well as a wonderful beach 5 minutes walk from the apartment. Tel Aviv was classified by many as the City without a break and by some chefs and food experts as having an amazing level of gastronomy that could easily compete with any city even easily with Paris. Tel Aviv is partially UNESCO protected as having 2000 buildings build in the early Bauhaus Architectural style. The weather is wonderful and warm pleasant even during winter. During the summer it's a hot and fun city.